One of the advantages of running your own business is that you can choose when to take a longer than usual break from work and book in for a fabulous training course with food hero Richard Bertinet, BBC Food Champion of the Year 2010. It was Katie’s idea and after seeing Richard on Great British Bake Off Extra Slice last year, I was convinced that this would be a great investment for Hen Corner. Nestled in the heart of beautiful historic Bath, Richard runs a fabulous range of courses from his cookery school with a structure and style that encourages delegates to return again and again to develop more skills in this wonderful environment. Katie and I deliberated over which class to choose and, whilst we already felt confident as bakers, decided to go for the full five day training. We were so glad that we did! The structure of each day was breakfast at 10am, with toast, preserves and coffee followed by a long morning of bread making and baking. A quick coffee with a sweet baked treat and prunes soaked in liqueur around noon kept us going until a celebration lunch around 3pm based around the breads that we’d mastered that day. This daily feast, washed down with lots of wine, was also a great opportunity to get to know Richard and our fellow class mates a bit better before carrying bags of bread back to our hotel room ready to revise the class notes in preparation for the next day. Day One was an introduction to bread making, demonstrating Richard’s unique methods and emphasising the importance of working the dough, shaping the dough and good baking skills. Day Two found us making French breads with wonderful baguettes, pain de campagne, filled breads and delicious walnut rolls. Day Four we were working with sweet & dark doughs to make wonderful creations. pain viennoise, fruit loaves, wholemeal buns and doughnuts! Day Five built upon the whole week’s foundations as we mastered slow doughs, sourdoughs, brioche and more baguettes. It was a wonderful experience, a real privilege to spend the week with Richard, and we are now trying to incorporate all that we learned into both our weekly bakery and our courses throughout the year. We were delighted to enter our cider in the first Lateward Local competition and were thrilled to bring home the first prize trophy! The peach tree is now protected but we need to plan for the almond tree, how can we keep the squirrels away? 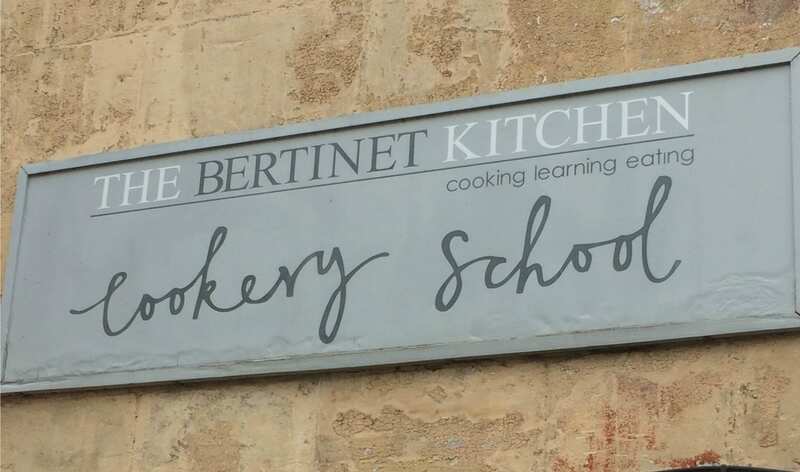 We had a great time making and baking a huge variety of breads at the Bertinet Cookery School, do you have a favourite bake? Have you mastered making it yourself?